The answers to these 10 questions will help to get your project off to a running start when you're ready to start building a timber home. It takes years of training and hard work before an Olympic track runner steps up to the starting blocks that leads to the record breaking and medal winning. You will need to have the same type of dedication before the building of your timber frame home begins. Not that you have to wake up for 5 a.m. practice everyday, but you will need to put in a lot of hours to ensure that your home is a winner. A minor slip at the starting block won't cost you the race, but it may cost you some unexpected cash. Here are some questions to ask so that you're prepared for any hurdles that may cross your path. 1. What is timber framing? Read timber framing and construction books and magazines. Create a notebook of ideas, including magazine clippings that picture layouts, exterior styles, frame styles, color combinations, furnishings, appliances and finishes that appeal to you. Gather catalogs and plansbooks from timber frame producers. Surf the Internet for information about timber framing techniques. Spend a weekend or two visiting open houses and talk to home owners and representatives of framing companies you're considering. 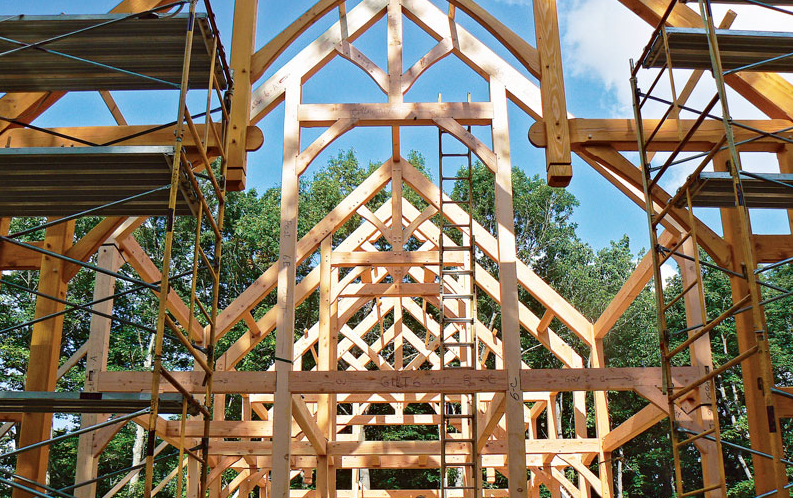 Take a hands-on class on timber frame design and construction, or attend a home show. 2. What does your family need in a new home? Decide what features are essential to your family's present and future needs. Are there some rooms in your current home, like a first-floor master bedroom or a home office, that are essential? Or, do you no longer have a need for four bedrooms? Consider a floorplan that supports your family's activities and will help your home remain functional and enjoyable through the years. 3. Do you have a set budget? Without a good understanding of what you can afford, you will be unable to evaluate designs or compare timber frame companies and general contractors. A total project budget, including other expenses, such as land, septic system, well, etc., allows you to set your priorities and direct your energies toward a realistic plan. Decide which amenities you need immediately and which you can postpone until you can afford them. Then figure out how large a mortgage you can afford, what local and state taxes exist and what types of insurance you may have to carry. A timber frame is a kind of home that uses a frame structure of large posts and beams instead of the 2X4-stud “stick frames” that are typically used in tract homes. 4. Who will lend you the money? Shortly after you set your budget, find a lender who will pre-qualify you for a home loan. (Some lenders charge for this service; others don't.) Pre-qualification is valuable because it serves two purposes: It lets you know if you'll be approved for a home loan, and it reveals the total amount of money you'll be able to borrow. This information may help to determine if you need to scale back (or if you can add to) your home's amenities. Because timber frame homes make up less than 1 percent of the custom home market, most lenders are still unfamiliar with this building method. Ask for lender recommendations from other timber frame home owners, producers and builders. 5. Where will you build? Once you know where you want to build, your timber frame producer options will narrow significantly, since many framers prefer building relatively close to their shops. Also, shipping costs become more of an issue when distance is involved. Once you've purchased your land, evaluate its contour. Consider the effect of the seasons, accessibility and views. It's a wise idea to buy your land before you begin designing your home. Knowing what your property's characteristics are will help you make pre-construction decisions such as where and how to install your driveway, septic system, plumbing and foundation. 6. Have you visited any model homes? A finished model home will give you a firsthand look at a timber framer's work. Visit both new models and ones that have been standing for several years. An older model will show how the frame has stood over time, and it will show the inherent checking (splitting that happens naturally in dry wood) that will occur with timbers. Newer models may give you some more current design ideas. This is also the perfect opportunity to ask the company's representative questions. 7. Which timber frame producer will you choose? Since each timber frame producer offers a variety of plans, building services and wood species, it's good to know what's available before you talk seriously to any one company. Begin by calling the producers in the region where you're planning to build. Review their literature. Call their client references in your area. Visit their web sites for photos of their homes. Look for a company that you feel is trustworthy and can produce a quality home within your budget. 8. Who will design your new timber frame home? If you decide not to go with the timber frame producer's in-house design staffÃ?or if one isn't available- you may need to hire an independent architect or designer to design your home. Regardless of whether your timber frame producer has a design staff, the company can usually recommend a highly qualified design professional to handle the job. If you venture out on your own and hire an independent architect, be sure he or she is familiar with timber frame construction and check references. And make sure that you introduce your architect to your timber frame representative early in the design process. Your timber framer is a fountain of knowledge and will be able to assist your architect with the fine details of the craft. 9. How do you pull all of your ideas together? It's time to pull out the notebook and organize your ideas. Think about your property and determine which rooms should face the best views, be given prominence or be tucked away for privacy. Sketch your ideas out on a piece of graph paper and give them to your designer or architect. From your rough sketches, he or she will draw a set of preliminary plans that can be used to estimate how much your home will cost (including materials and labor). It's at this stage that changes to the home's design should be made, especially if the plans need to be modified to fit your budget. You'll be better off making the changes now rather than during construction when changes can be costly, if not impossible. Once the preliminary plans meet both your budget and expectations, your designer drafts the final construction documents. These are the engineered drawings (called blueprints) that show your timber frame producer, lender and general contractor how your timber frame home will be built. 10. Will you need to hire a builder? Once final construction documents are drawn up, you can make informed decisions about who you'll hire to build and finish your home. If your timber frame producer doesn't provide finishing services as part of your package, then you will have to hire a builder or general contractor. No matter who builds your home, make sure they provide a clear idea of finished costs, how many subcontractors you'll need to hire and how long construction will take. Consider your answers to these questions as the starting line. Then, contact timber framing company representatives directly or visit their web sites to help you find out more. 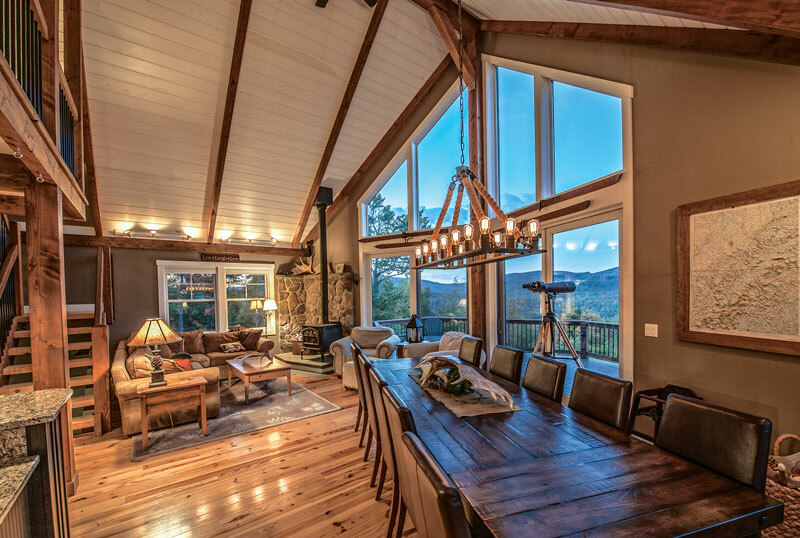 Your answers to these questions will get you off and running toward building your gold-medal timber frame home. How does a timber frame home compare in cost to a conventional home? As a general rule, a partially timber-framed home will cost about 15 percent more than a custom-built, stick-framed home. A full timber-framed home will cost at least 20 percent more than a conventional custom home. In addition to the cost of the frame itself, price depends greatly on finishing materials, labor and other factors. Plus prices can vary significantly even between homes built by the same company. Although most timber frame producers hesitate to quote a dollar-per-square-foot amount that your home is likely to cost, you can ask your producer to quote you the dollar-per-square-foot range of several recently completed homes in your general location with comparable features and amenities. The cost of a home finished in a medium- to high-quality level will start at around $150 per square foot. Of course, the more custom features you include in your home's design, the higher its cost per square foot will be. Acquiring a general cost-per-square-foot estimate from the timber framing companies you're considering will enable you to calculate the size and budget for your own home more accurately.